Welcome to 2019 and our first event at Indigo Yard. 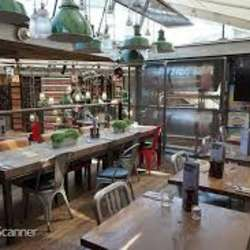 Since 1996, Indigo Yard Bar and Restaurant has provided the perfect setting to enjoy the best food and drink in Edinburgh's West End. We appreciate your RSVP by clicking the Accept Invitation button. Feel free to bring your international friends and co-workers, and don’t forget to invite them to sign up for InterNations, too. Guest list closes at 17:00 on the day of the event. We look forward to seeing you! Hope to see you all there!!! P.S. We would like to share a call for helpers! If you would like to be more involved in our InterNations community and assist us, we welcome you to reach out. We are especially looking for anyone who would be interested in volunteering welcoming and checking in members and looking for new Consuls. If you have a hobby or interest you’d like to share or you simply enjoy bringing people together, please get in touch with us.